If you like your tuxedo jackets and blazers and need to make your appearance count the first time, let Contempo Suits hook you up. 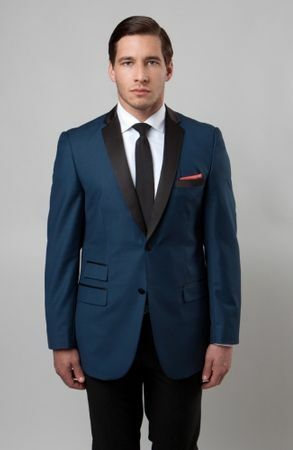 This indigo tuxedo jacket is made by Tazio and features a classy Tuxedo style with round collar look making it one stylish tuxedo jacket. Featuring side vents and ready for the red carpet or club.